Your regular veterinarian can refer your pet to Walker Road Animal Hospital for an ultrasound procedure to help clarify or diagnosis a number of health issues or complications. The health records obtained from an ultrasound with Dr. Kaye will be sent back to your regular veterinarian for diagnosis and continued treatment. We recommend a formal referral from your regular veterinarian in order to set up a ultrasound procedure. The completion of this referral will allow our ultrasonographer to review your pet’s history and key areas of concern prior to the procedure. Dr. Andy Kaye is our resident sonographer. Although not board certified, Dr. Kaye has extensive knowledge and a special interest in ultrasonography . On emergency basis, any of our resident DVM’s may perform a quick ultrasound test, called an A-Fast or T-Fast. 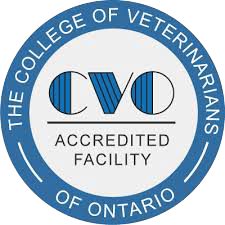 This quick, non-invasive procedure will assist our veterinarians in determining the presence of fluid in the abdominal and/or thoracic cavity. The procedure involves the application of gel to the surface of the body, followed by methodical movements of a transducer (a small handheld tool) across the skin to record images of the area of interest. The gel helps the transducer slide more easily and create a more accurate visual image.